We have several programs to choose from for all levels. 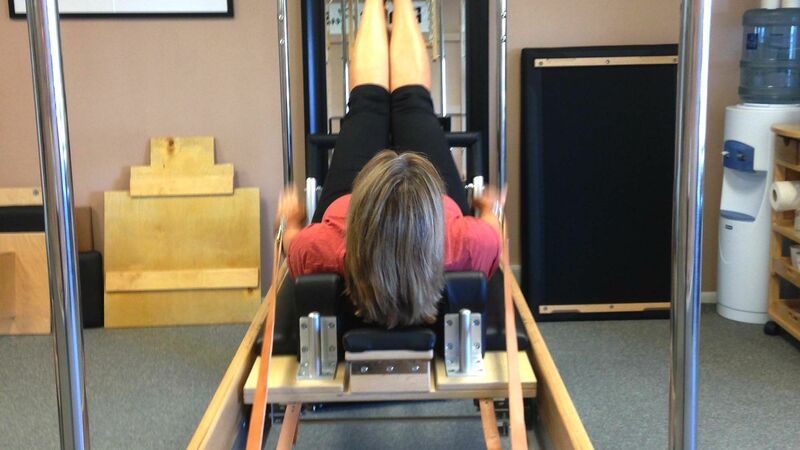 To maximize your Pilates experience, we recommend starting with at least one private Pilates lesson. Your certified instructor will tailor a workout designed for your body’s specific needs at your level and pace. With focus on breathing, alignment, and posture a one on one lesson will help develop proficiency in technique and any personal modifications you may need. Each 55-minute lesson may incorporate Reformer, Cadillac, Chair, Matwork and/or Barrel exercises. A semi-private lesson is a single session shared by two-four people. Semi-Private lessons provide more personalized attention than a group class. When you share a Pilates semi-private session with a friend or loved one you are making a commitment to two people. Not only will this help keep you on track, but a shared Pilates session can be a fun way to spend time with your friends as you work toward individual goals. Massage therapy is available incorporating long flowing and kneading strokes for increasing circulation and deep relaxation. Deep Tissue is also offered which unlocks deep-seated tension and muscle spasms. For injury recovery and rehabilitation, other techniques may be interspersed throughout the massage including soft tissue release, trigger point therapy and muscle energy technique. Active Isolated Stretching is also available. This modality uses passive stretching to realign damaged muscle tissue. Fit Form Studio designs fitness programs for your specific home gym and travel-based needs. The first appointment is a fitness evaluation 1-hour in length to assess the current fitness situation and a personal interview to determine goals for successful. The second 1.5-hour appointment introduces the program focusing on proper technique for the aerobic component and stretching and strengthening exercises. Pictures, logs and descriptions of exercises from a special computer program are included.